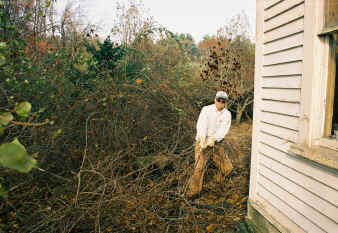 As Michael McGrath moved out from the family home of 100 years and into the newly constructed house at the rear of the property, many volunteers helped with the clearing of invasive vegetation from around the house. 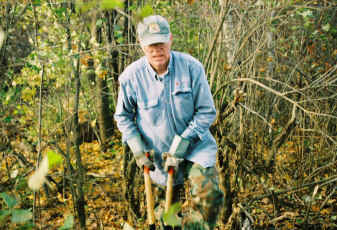 Volunteer Bill Rose attacking the invasive plants. Bill also built the carriage holding the original stolen canon hidden at Barrett Farm and now on display at the Minute Man Park headquarters a mile away. Volunteer Miles McConnon pulling out bittersweet and multi-floral rose invasives. 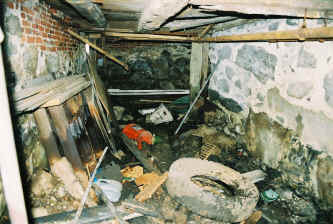 Water main breaks and a high water table took its toll on the conditions in the basement. 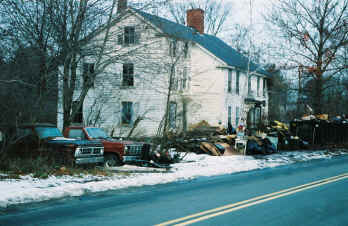 Oil and asbestos cleaning was done in December 2005 through January 2006. Volunteer Milan Galland worked on clearing the barn side road. 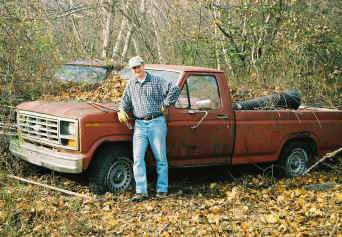 He and a few others discovered the poison ivy covering the trucks. An early snowfall covers the ground and dumpster. 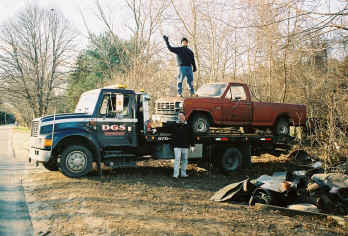 Volunteers Jim Hollister and John Bruno proud of the pick-up truck extractions. Jim works for Minuteman National Historical Park and John volunteers there as an interpreter.